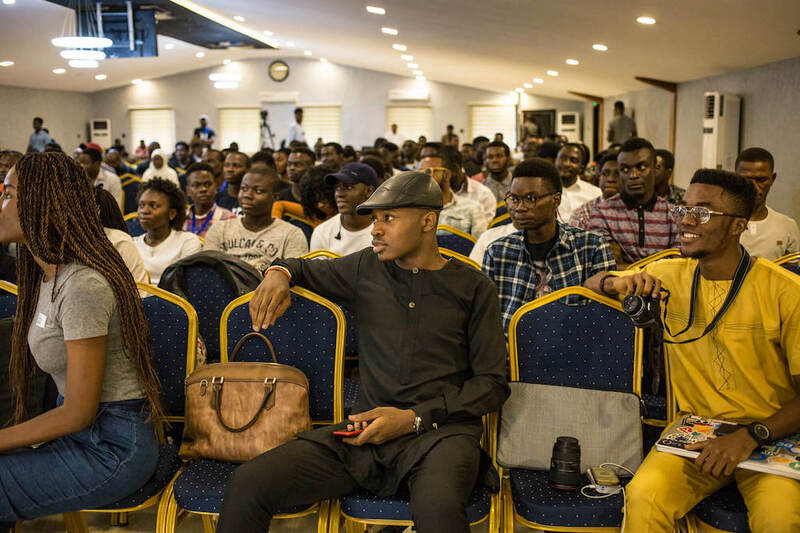 Christian Nwamba, popularly known as ‘codebeast’ on social media is a 25-year old Nigerian Software Developer, Author and Speaker at local and international Developer conferences. 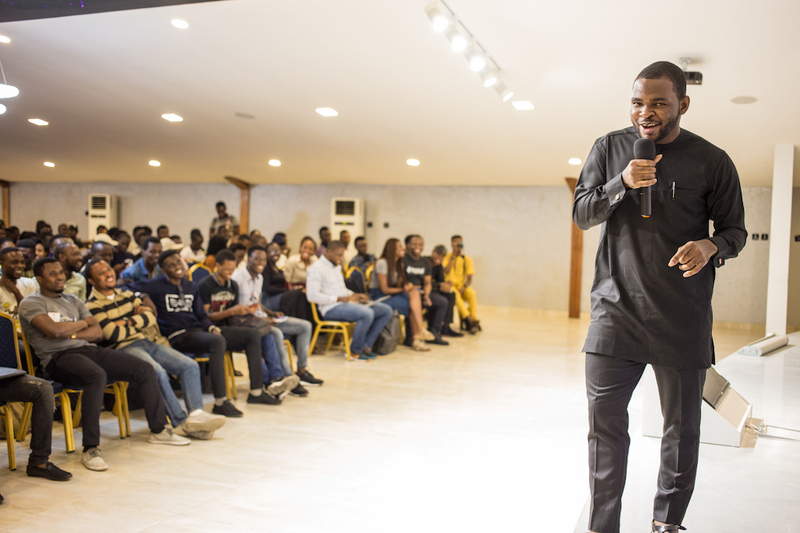 In his home country, he co-leads communities like Angular Nigeria, forLoop Africa, and Frontstack alongside others like Ire Aderinokun and Prosper Otemuyiwa (Unicodeveloper). Some of his online content (tutorials and other technical content) can be found on platforms like Pusher,CodeMentor, Cloudinary, and Scotch.io, where he holds the reputation for the number 3 most read Author across the globe (with 64 posts and 4.35Million pageviews). No doubt, Codebeast is a hardworker and a prolific content creator. These attributes, I believe, are some of the factors that have led to him being invited to platform-specific and general developer conferences to inspire fellow Developers and Developer Evangelists. But he faces one major obstacle - being a Nigerian. Since 1998, Analysts speculated that "...globalization has blurred the economic distinctions between countries, creating a 'borderless world'...”. In this world, decisions of where to produce, shop, invest, market and all have taken on an increasingly global orientation with Decision Makers not having to be limited to the confines of their National Boundaries. But all these was trade and Western-led and they are currently reported to have stalled, thanks to the 2008 Financial Crisis. Emerging economies like Nigeria and China are leading a new wave of Globalisation driven by digital technology. And while we might have missed out on championing the trade-led globalisation, young mobile Nigerians are looking to push the border on what is attainable at the Global level. For instance, in February 2016, Nigerian Developer, Prosper (aged 25), beat out other organisations and Developers like Facebook to rank second in GitHub's top trending developers (using PHP language). That PHP category was led by Google. But your impact is limited when you are deemed a local champion. Hence, the need to be World-class. This desire to be world-class has led our twenty-somethings to take courses from leading MOOCs on the internet like Udacity. In fact, many of them are getting recognised for their tenacity and drive to becoming World-class. This can be seen in Asemota's report for The Guardian in 2016: "... I was at the annual Google I/O event in San Francisco... Moyinoluwa Adeyemi got featured in the keynote of Udacity founder, Sebastian Thrun... Sebastian highlighted Moyinoluwa as one of the African developers who had taken advantage of Udacity to become a 'WorldClass Android Developer'.". The hope is that, someday students will become good enough to be teachers. 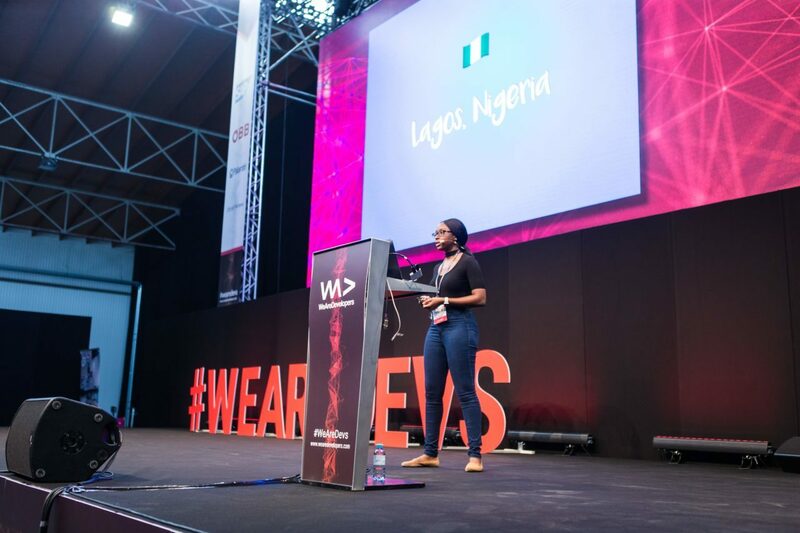 And this is what has happened to Moyinoluwa who has now delivered about a dozen lectures on Android and Mobile Development locally and internationally. Nigeria could use some reputation overhaul in the online space. Particularly, as we are currently linked to the infamous internet fraud scheme tagged: "Yahoo Yahoo". We cannot let what happened on the trade front happen to us in the digital space. Our bad reputation as one of the world's most corrupt nations has made potential investors to circumvent us when looking for new markets to explore. Since we consume globally (think: MOOCs), we should not be limited to producing locally. In an ideal world, we are not limited. But in reality, we are. Thanks to Immigration and Embassy issues. Today, Codebeast burst out into an emotional cry when he realised that his current invitation to speak at a BuzzJS Conference in New York might be hampered again by a possible denied Visa application. Internally, Nigerian Developers have had to face the menace of the Special Anti-robbery Squad (SARS) harassing them for looking like G-boys (a name used interchangeably with "Yahoo Yahoo Boys"). But Codebeast's story helps us to understand that harassment from SARS is probably the least of their worries. As the international community is yet to acknowledge that not all Nigerian Youths with a computer are criminals. Codebeast's story which has now been retweeted thousands of times talks about how he cannot join his remote colleagues for seldom team-bonding activities. As well as, honour invitations to speak outside his country at conferences or even attend self-development global Developer conferences organised by the likes of Google. These conference invitations don't come cheap as intending speakers have to APPLY. And if you know any about applications, they do not come easy and are usually gruelling. He applied for a US visa to speak at Zeit Day conference with his friend Prosper. He received letters of invitation from the company, Zeit HQ. Even armed himself with a recommendation letter from his employer, Flutterwave. And was still denied yet again. "It’s my responsibility to my employer to speak at events and I’ve done this in Nigeria, South Africa, Kenya, Uganda, etc. It’s really limiting since I can’t spread out because of Visas". "I was lucky with US visa. I applied once and got in. But I haven’t been lucky with Europe.Missed all paid conferences to speak in the largest web conference at Prague because I was denied. Missed Google Developers Expert Summit in Poland last year. I was to speak at Laracon last year too. Everything paid for and all the letters and invite. Lol. Denied too. Naturally, these are things that would have increased my reputation, work opportunities and meeting tech people globally..."
One thing is clear, it is not limited to geography or person. It's a game of probabilities which is skewed towards Nigerians standing a lower chance at securing an international visa. But could it be gender-specific? "I've personally had great luck with visas. The only issue I've ever really faced was applying for the Australian visa. I applied this January and they have still not processed the visa. I was supposed to speak at CSSConfAU in March"
There are not enough data points to prove if it is Gender-specific but experiential and cultural knowledge reveal how the male gender has traditionally been tagged as the ones capable of perpetuating such scams. It even shows in the naming: "Yahoo BOYS". However, it becomes a more "Nigerian" thing, seeing that even Ire has been denied a Visa to a conference. Please note, we are not ignorant of some of the other reasons Visas get denied, like poor applications. However, we strongly believe that there might be an unconscious bias against Nigerians. Back to Codebeast's sad story, popular public advocate, Sega Awosanya has weighed in and is positive something can be done in the right direction. In summary, Codebeast is still in his limbo, but he is grateful for the conversation this has created. 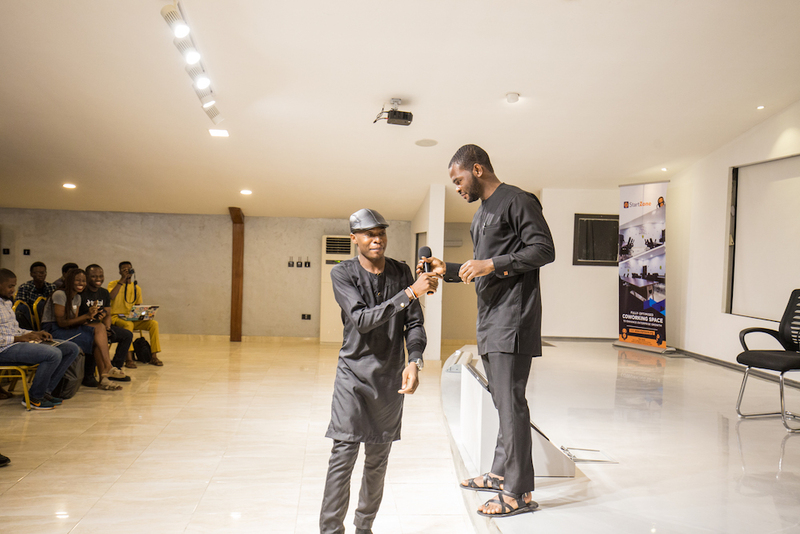 All the Photos used in this post are credited to Rotimi Okungbaye, a renowned Nigerian tech meetup Photographer. Update, 1:50 PM April 2, 2019: Codebeast now has a US Visa. Educational facilities in Nigeria have been overburdened by the strong population growth. Formal education has proven expensive to the majority of Nigerians living below the poverty line. Can semi-formal ed. institutions like GATE Academy improve the level of literacy in the country?